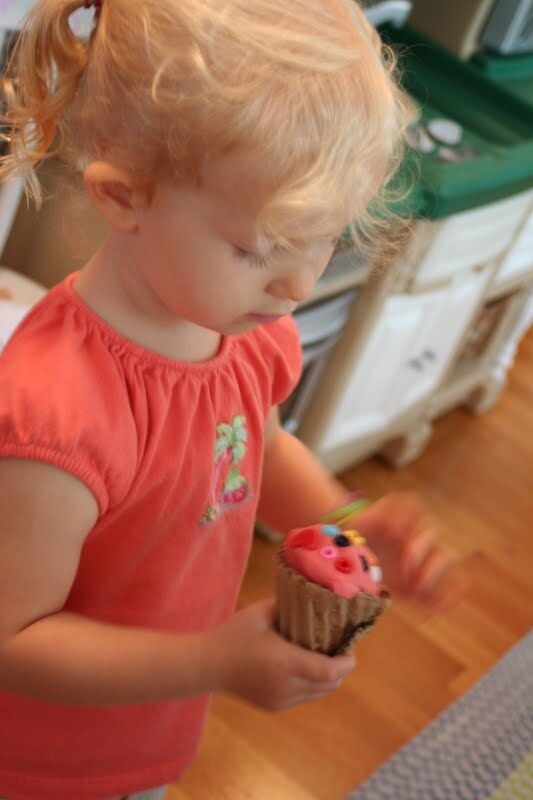 I cannot believe our littlest is three years old! 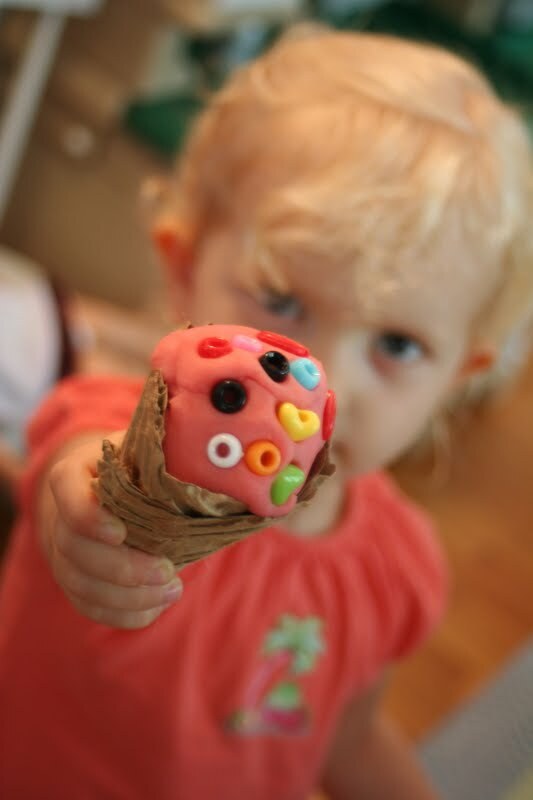 We had a wonderful time celebrating with a very small, but successful ice cream themed party. I made four flavors of playdough for our few guests to enjoy: mint, strawberry, chocolate, and vanilla. The chocolate recipe came from Pre-Kinders, but for the rest I used my favorite playdough recipe. (Hint: if you use boiling water, the process is much faster). Pony beads and heart-shaped beads were set out as sprinkles, cardboard cones stacked ready, and I filled an old Hershey's container with yarn "chocolate syrup." Bowls and spoons also stood by ready and waiting. As well as their own apron, courtesy of my talented mom. She made the girls' aprons out of sheet material and the boys out of bandanas! Menus stood by for the adults to put in their orders. We kept our party deliberately small, but the few guests there turned our pretend ice cream parlor into a hub of activity! When they'd filled up on pretend ice cream, we let them have the real thing: an ice cream pie. For this one, I simply spread softened strawberry ice cream (A's favorite) in a prepared graham cracker pie crust and topped with sprinkles. After an hour in the freezer, it's ready to serve. The pony beads as sprinkles is brilliant! Looks like it was a fun ice cream party. Thanks for letting me know you posted. That is such a cute idea! What kid wouldn't love it?! This party looks like robs of fun. I love the sprinkles too. this is such a cute idea...I love it! Happy birthday to your adorable 3 year old! I just love all of your ideas. So darling for a party. 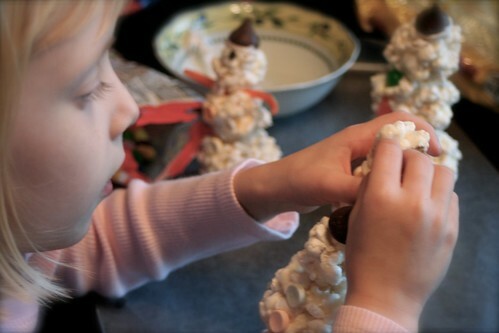 I bet the kids all loved making their own ice cream cones and you had everything organized so cute. Your blog is so great and inspiring. Wow! Just found this. 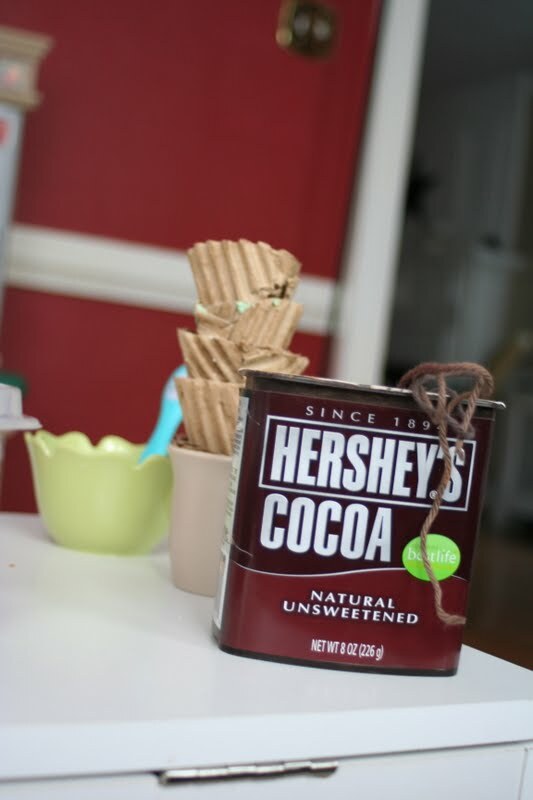 I'm am working on turning our basement playroom into an ice cream shop, and these are amazing ideas!! Where did you find those precious little scoops? I will be trying these ideas soon!